RENTON, Wash. – The Washington Interscholastic Activities Association is proud to announce the WIAA/Washington Army National Guard Scholastic Cup champions for 2011-12. The WIAA/Washington Army National Guard Scholastic Cup, the WIAA’s most prestigious annual school award, is a yearlong competition designed to determine the top school in each of the six WIAA classifications. The Scholastic Cup recognizes the top interscholastic programs in Washington that display excellence in academics, sportsmanship and athletic performances throughout the school year. The Army National Guard is in its first year of sponsoring the highly acclaimed title. Capturing its fifth-straight Scholastic Cup Title are King’s and Mead. The Knights of King’s tallied nine state titles to secure the Cup, and finished the year with three athletic state titles and six academic state titles. The Panthers of Mead captured a state title in gymnastics and also claimed academic state titles in band and drama to move atop the point standings. Second place finishes in golf and wrestling increased the Panthers’ lead as they finished the 2011-12 season with a 200-point victory over second place Newport (Bellevue). In 3A, the Mercer Island Islanders claimed their fifth overall Cup as they secured seven state athletic and academic titles to finish with 1725 points, the highest among all six classifications. The 2B Champions, the Bear Creek Grizzlies, garnered their fourth-straight Cup, sixth overall. The Grizzlies were also Scholastic Cup Champions in 2004-05 and 2006-07. In 2A, The Archbishop Murphy Wildcats avenged last year’s second place finish as they edged out Pullman for their second Scholastic Cup Championship. Rounding out the champions are the Mount Rainier Lutheran Hawks. The Hawks also earned their second championship with four state titles throughout the 2012 academic school year. 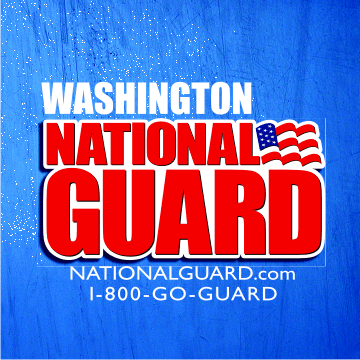 To view the final results and a summary of each school’s point total of the 2011-12 WIAA/Washington Army National Guard Scholastic Cup CLICK HERE.